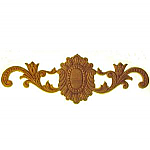 Nothing dresses up vintage or antique furniture like oak appliques, also known as gingerbread appliques. 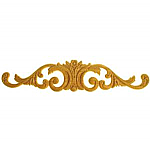 These decorative wood accent pieces add a classic elegance to your old-style furniture or restoration furniture project. 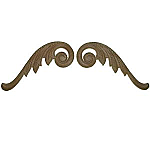 At Kennedy Hardware we've got dozens of oak appliques to match what you are missing, or to dress up the look of a vintage furniture piece. 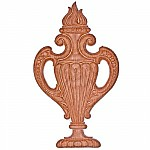 These embossed appliques come in a variety of patterns and sizes, from intricate and delicate styles to strong and stout-looking designs. 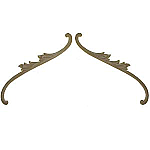 Sold singly or in matching pairs, all oak furniture appliques from Kennedy Hardware have time-honored designs that will bring your restoration furniture project to life.